What is Small Group Personal Training with Lean Body? We are here to help you SAFELY lose fat, increase your strength, firm your core, boost energy, tone up your whole body and get fitter than you’ve ever been. Our coaches have years of experience which will help you achieve incredible results during your time with us. Our formula for health and fat loss has been proven on hundreds of clients JUST LIKE YOU. By combining fun, safe, intense training sessions along with a comprehensive individualized nutrition program and lifestyle support, we will get you fitter, leaner, happier and healthier than you’ve ever been. Small group personal training in Finchley incorporates the best aspects of 1-1 personal training and adapts them so that they can be enjoyed in a small group setting. We cater for all individual’s beginners and intermediate levels. Our specialised small group training sessions allow one of our personal trainers to train 2-6 people at once. We currently run regular men only and mixed group sessions in Finchley Central North London at our equipped gym and studio. We have men’s training only sessions that are available Monday – Friday early mornings and evenings. We also have men and women sessions taking place 9:45am Tuesday and Thursday. How often can I train with Lean Body? You can train as little as once per week or as often as three times per week. We will tailor your small group personal training sessions to your needs, availability and the package you decide to opt for. What type of Small Group Personal Training packages do we offer? 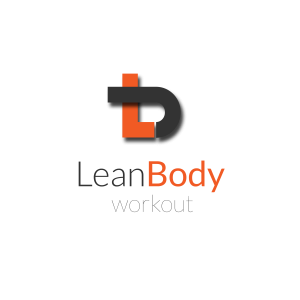 At Lean Body Training, our small group personal training packages are tailor made for individuals who want the benefits of personal training and a social atmosphere. With a limit of 6 people, we take time to understand each and every individual which allows us to deliver a bespoke programme whilst meeting the individual needs of all who are training. You may even need 2! Trainers or plimsoles are perfect.